Find everything you need for a great party in Wellington. We can help you plan and book your party or a weekend get away. Looking for some great party ideas in Wellington or a fun activity to do amongst friends and family? Gobananas has a great range of activities, venues, function packages and other ideas to make any party in Wellington fun and spectacular. 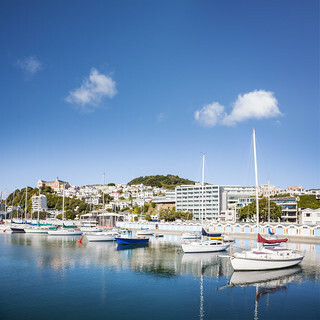 As the capital of New Zealand, Wellington is a real hot spot for people looking to have a fun family holiday or a group of friends looking to cut loose on a wild weekend. 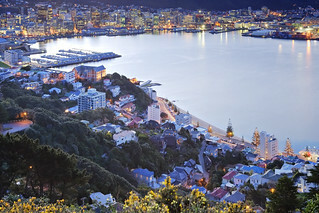 Located in the South of the North Island, Wellington has pretty much everything you could want. With its lovely beaches, waterfront promenade and just general amazing atmosphere, Wellington really is an awesome place where you can go to relax…….. or go a little crazy! The Wellington International Airport is only about 15 minutes from the city centre and it takes no time at all to fly here from most other places in New Zealand. If you want to jump in the car and head South to have a fun road trip then you are in for a treat as driving to Wellington will see you drive through some of the most amazing and picturesque locations in the country. Even the kids in the back saying “are we there yet” for the 625th time cannot spoil this road trip. Bus and boat are other ways that you can get here. In all getting to Wellington is pretty darn easy and is not going to cause you any headaches. Many people say that the best way to get around Wellington is to in fact walk…… walking really???? But this is a very compact and small city and walking around is actually a lot of fun it is estimated it takes the average person (who is not filled with alcohol) about 20 minutes to get from one side to the other. Cycling is another fun way to get around and do a bit of sightseeing. Wellington also has a cable car that many tourists love to use to get from one end of Wellington to the other. For the most part the weather is nice here all year round. Which means you can really come here whenever you like….. or whenever you can get the best deal without worrying to much about how the weather is going to be. The only thing that is worth noting is that in the winter months the wind can really pick up – it is not called the windy capital without a reason. Wellington has quite the sporting heritage. Soccer fans can check out the Wellington Phoenix FC who play in the Australian A-League. As this is New Zealand of course there is a strong love for Rugby and the Hurricanes are a Super Rugby team who have a pretty big following. Basketball, netball, cricket and footie are just a few of the other sports that you can check out while you are in Wellington. While just walking around and taking everything in is a lot of fun there are still some pretty awesome tourist attraction that you should check out while you are in Wellington and right here we are looking at three of the very best! Carter Observatory: When you come to the Carter Observatory, you can actually check out the botanical gardens as well as the Carter Observatory is located right at the top of them. Anyway this is an amazing place! You get to learn all about our universe and see some pretty spectacular exhibits and shows. What makes coming to the Carter Observatory so awesome is that this is a place for everyone. If you are here with the kids then they will be in awe at all the cool stuff they can check out. Also if have come to Wellington for something of a romantic break, Carter Observatory is a great place to go for a nice day out especially when you combine it with a walk around the botanical gardens. Museum Of New Zealand: This museum is just incredible and home to some of the most amazing exhibits in the whole of New Zealand. One thing that you simply must check out while you are here is the Nature Declassified part of the museum. Here you will see all kinds of creepy, weird and wonderful animals and learn their secrets. There is a phenomenal World War I exhibition where you get to learn about the brave people who fought in the war and the effects it had on the world. There is even some amazing, natural and authentic New Zealand art here. Coming to the Museum Of New Zealand really is a great day out you actually get to have fun and learn a few things…. Which you can use to make yourself seem smarter and more interesting when you go back to work after your vacation. The Weta Workshop: If you are a movie buff then you simply must come here! Many people know that the Lord Of The Rings movies were made here in New Zealand and you can see many of the props, models and things that were used for the sets here they even have items and props from other movies and productions as well. They have a whole host of cool movie stuff here for you to check out and they offer a pretty awesome tour telling you little stories and giving you insider information about how the movies were made. Kids and adults will have a great day out…… just be sure to bring plenty of money as they have some amazing merchandise in the gift shop! No matter if you are just looking to sit down and have a beer to catch your breath, check out some local wine or if you need to have a few cocktails because the kids are driving you nuts! Wellington is home to some tremendous bars and here are there of them! Lovelocks Sports Bar: Just because you are on vacation does not mean you have to miss the big game! Lovelocks Sports Bar is a fantastic place to go for some good bar style food, cheap drinks and of course live sport on their big screen TV’s. They have a balcony if you want to have a couple of drinks under the sky and they even have a corner where you can place some bets on the sporting action that is taking place. Motel: Motel is one of the cooler and more hip bars that is in Wellington. They have really cool island style art with tiki statues and some pretty spectacular “island” art all over the place. There is just a really, slow going and laid back vibe here. They have plenty of different types of drinks here, but their real specialty is their epic cocktails. You people (and I am looking at you ladies reading this!) who love your cocktails will be in heaven here as you check out some of their fantastic cocktails. Meow: Is Meow called Meow because this is where all the “hip cats” like to drink? Well I think it actually could be. This is a really cool type of bar that by the day is a café, but when night-time comes around it is a slick bar that offers great drinks and live entertainment most nights. The type of entertainment they have varies, but for the most part it is things like poetry nights and live acoustic music sessions. Get you party on and make sure your nights in Wellington and epic! Here we are looking at some of the best clubs you party maniacs can go to! Boogie Wonderland: Lets gets started with the funky, Boogie Wonderland. Now here is a place that knows how to throw one hell of a party. A regular club night here is full of great tunes, good people and awesome times, but Boogie Wonderland also love to put on some theme nights throughout the year. We are talking live bands, DJ’s, stage shows and even live comedy! You are pretty much guaranteed a great time when you come here. Famous Nightclub: For you serious clubbers who love to grab a bottle of your favourite booze or perhaps a nice cocktail and then love to get on the floor and show off all your “awesome” dance moves, Famous Nightclub is where you guys and gals need to party? This is a very fun club that is a good size, has great deals on drinks and they also put on special nights from time to time as well. Wellington has a number of fantastic places for you to enjoy some food. Here are the most fun places for you to eat in Wellington. Star Fish: Being so close to the water it is no surprise that there are a number of places to enjoy some fresh fish and chips in Wellington. Star Fish is ideal as you grab your food and then you can walk around Wellington, checking out the site as you are enjoying your fish and chips. They do of course sell other things here, but it is the fish and chips that Star Fish is known for. Pizzeria Napoli: Ah pizza the one food that pretty much everyone likes! Pizzeria Napoli offer up a great selection of pizzas. They make them Italian style here and they have their own special dough that makes their pizzas have a special taste all of their own. If you are something of a “pizza connoisseur” then you will really enjoy your meal here. Five Boroughs: Get a taste of Americana at the Five Boroughs Diner. Hotdogs, pizzas and huge sandwiches are the types of things you will get here. They also have these awesome milkshakes that are so huge they will make you say “holy crap” when it brought to your table. They offer a fun and friendly environment and some really tasty food.